ISLAMIST militants have killed hundreds of soldiers in attacks in northeastern Nigeria in recent weeks, security and military sources say, forcing a turnaround in the course of an insurgency, which the government has frequently claimed to have vanquished. The setback in the war against Islamic State in West Africa (ISWA) and the Boko Haram insurgency from which it split in 2016 comes as President Muhammadu Buhari seeks a second term in elections next February. In the past three weeks, according to military and security sources, ISWA killed 48 soldiers at a military base and, in a separate attack, left 32 dead in Gudumbali – a town to which thousands of refugees were ordered to return in June. 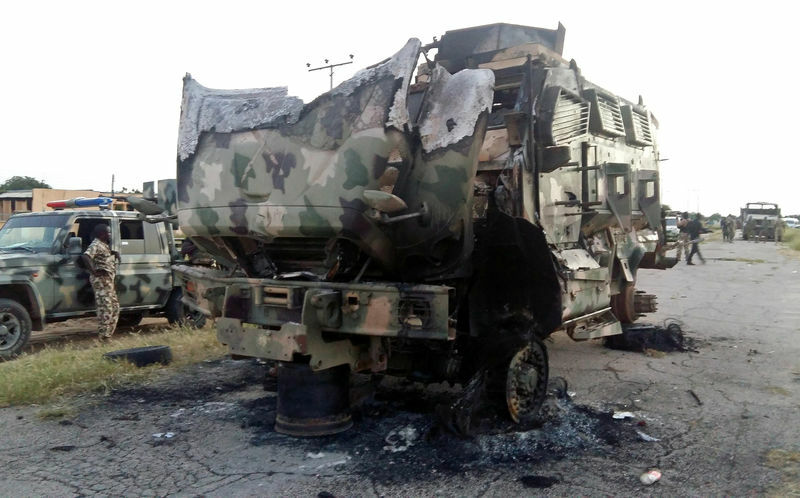 That marks a contrast with the situation in early 2015 when the Nigerian army, backed by troops from neighbouring countries, pushed Boko Haram off a swathe of land that the insurgents controlled. ISWA’s influence extends from the Lake Chad region, including in Niger and Chad itself, and stretches about 100 miles into the Nigerian states of Borno and Yobe, where government has in many areas all but vanished after a decade of conflict. It was not immediately clear how control of that territory has changed in recent months.